Hello beautiful people! I’m writing to share that my first article for H3O Eco Magazine is published. The Biocadence column is on pages 18-19, and I am featured as a contributor on page 7. IMPORTANT NOTE: *** The mobile compatible link is not ready yet (unless you have Flash V:8), but is on its way! 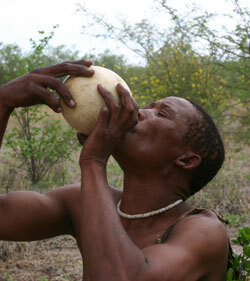 of Kalahari Bushmen versus Botswana Government. Allegedly naming wildlife preservation and reduced water-distribution costs as a cover for his intent to mine the area for diamonds, Bostwanian President Festus Mogae cut off the Kalahari Bushmen water supply in 2002. The Bushmen were offered government aid, shelter, and complimentary water outside the reserve, and severe thirst (a visceral competition amongst the body’s organs for the limited fluid available) was cause for many Bushmen to flee the Kalahari. Year over year, families of Bushmen surrendered to reservations. However, some continued to endure extreme famine in order to remain in their homeland. As Workman flows between journalist and storyteller, the following prompts whisper persistently: Why did the Bushmen sacrifice everything to remain in the Kalahari? Why did they endure passive and aggressive forms of torture, in order to salvage their homeland? 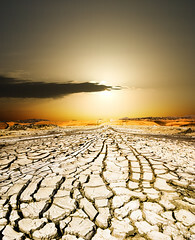 It is likely, many would say definitive, that we are headed toward drier global conditions. We must consider how progressively higher temperatures and less accessible fresh water will impact our families. The nuances of community and human survival will evolve, and we will be forced to acknowledge our descendants’ quality of life when making consumptive choices. The Heart of Dryness observes the acutely leveraged indigenous Bushmen community, with hopes of rescuing water-retrieval techniques for future generations. As spectator of the Bushmen water-procurement craft, James Workman offers a vivid snapshot of the culture we may have evolved from. Musing about a Bushman family matriarch, he writes, “Face of Eve: Quoroxloo’s DNA holds the purest genetic strains, revealing her as perhaps the closest kin to our ninety- thousand-year-old common ancestor, the earliest mother of humankind”. In documenting the inherited skill-set, he endows the understanding that Bushmen water-handling is a vital ingredient for the survival and development of our species. I hope that you will enjoy my article and explore the remainder of the H3O Eco Magazine issue, a publication for environmentally conscious consumers.